The New Tokina AT-X 116 PRO DX-II is an update to the widely popular and award winning AT-X 116 PRO DX, 11-16 F/2.8 lens. Tokina DX 11-16mm F2.8 II Lens. AT-X 11-16mm F2.8 Pro DX II Lens for Nikon. The main update to this lens is in the Nikon mount, the AT-X 116 PRO DX-II has an internal silent focusing motor to allow the lens to AF on Nikon bodies that do not have an AF drive gear and motor. Designed for Canon’s Compact System Camera, the EOS M, this is Canon’s first ultra wide-angle EF lens to feature an Optical Image Stabiliser. Offering a versatile wide-angle zoom range, first-class optical performance, and a new retractable design, the EF-M 11-22mm f/4-5.6 IS STM, with its 11-22mm focal range is the perfect addition for EOS M users who wish to capture incredibly wide fields of view such as landscapes and architecture..
TOKINA AT-X 11-20mm F2.8 PRO DX LENS TO SUIT NIKON. 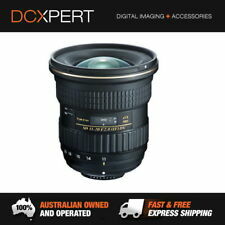 All Tokina lenses are sourced via the Australian importer and distributor. Benefitting the usability, a one-touch focusing clutch permits quick switching between autofocus and manual focus modes, and an internal focusing design maintains the overall length of the lens during use. Nikon VR II (Vibration Reduction) image stabilization. Vibration Reduction, engineered specifically for each VR NIKKOR lens, enables handheld shooting at up to 4 shutter speeds slower than would otherwise be possible, assuring dramatically sharper images. > Sigma 35mm f/1.4 DG HSM Art Lens for Sony E. As part of the Art line within Sigma's Global Vision series, this lens is designed to achieve truly notable optical performance and is ideally suited for creative and artistic applications. Panasonic Lens 14-140 MM- current version in as new unmarked condition, hardly used. Covering focal lengths from wide-angle to telephoto, the M.ZUIKO DIGITAL 14-150mm f4.0-5.6 II is perfect for capturing any type of scene, from portraiture to travel photography featuring a wide variety of subjects. The lens can capture subjects at all zoom ranges from a closest shooting distance of 20 inches (approx. 13 inches from the end of the lens). A maximum shooting magnification `of 0.22x (35mm equivalent: 0.44x) is possible with close-up photography. An improvement upon the M.Zuiko 14-150mm f4.0-5. Fujifilm XF 23mm f/2 F/2 R WR Lens - Mint condition! Oz stock! Selling my Fujifilm XF 23mm f/2 F/2 R WR Lens - it is in excellent condition with no damage, scratches, or other issues! Purchased in December 2018 from DigiDIRECT Elizabeth St, Melbourne. I can include the original receipt. They say this is Fuji’s best lens! I totally agree. Phenomenal image, perspective and focusing distance. Selling to move to a lighter kit for an upcoming Europe trip :) @jaimedeano_photographer Happy for pickups. Prefer domestic buyers but overseas buyers should get in touch! Macro design benefits working with close-up subjects and provides a 1:2 maximum magnification along with a minimum focusing distance of 6.7". Lens Dust Cap RF. Warranty is 12 - 24 months (dependent upon manufacturer) back-to-base official Australian warranty (Refurbished products excepted - 6 months). 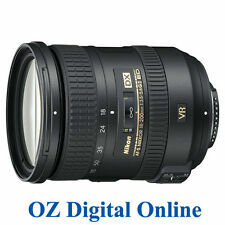 You are looking for myNikon AF-S NIKKOR 16-35mm F4 G f/4G ED VR F4G. P ease refer to the pictures attached for physical condition. Lens focus but a bit stuck, don't know why. Kind Regards. A ZERO lens coating has also been applied to improve contrast when working in strong lighting conditions. Beyond the advanced lens design, this zoom is also characterized by its constant f/2.8 maximum aperture, as well as its durable weather-sealed construction for working in a variety of conditions. 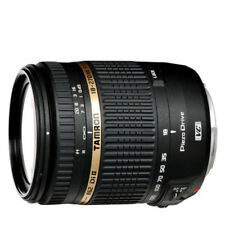 Tamron AF 18-200mm f/3.5-6.3 XR Di II LD Aspherical (IF) Macro Lens for Canon. Condition is Used. Sent with Australia Post Pre-Paid Parcel Post Satchel 3kg. The original cardboard box is slightly damaged . The lense is in good condition and was rarely used. Comes with all original documents. Lens in 8/10 condition. Excellent lens, the best that I used with the 645 system. Fujifilm XF 16mm F/1.4 WR Lens - excellent condition! Oz stock! Selling my Fujifilm XF 16mm F/1.4 WR Lens - it is in excellent condition with no damage, scratches, or other issues! Purchased in December 2018 from DigiDIRECT Elizabeth St, Melbourne. I can include the original receipt. They say this is Fuji’s best lens! I totally agree. Phenomenal image, perspective and focusing distance. Fujinon filter is not included but will include for an extra $50 on request. Selling to move to a lighter kit for an upcoming Europe trip :) @jaimedeano_photographer Happy for pickups. Prefer domestic buyers but overseas buyers should get in touch! 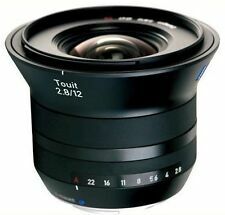 5 out of 5 stars - Fujifilm XF 16mm F/1.4 WR Lens - excellent condition! Oz stock! 1 product rating1 product ratings - Fujifilm XF 16mm F/1.4 WR Lens - excellent condition! Oz stock! And includes a Kenko UV filter. This is the smallest and lightest zoom lens with built-in O.I.S in the industry. I had this lens up for sale a few months ago. It was sold to a gentleman who returned it due to the lack of transparency around the ‘dust’ in the original description. Basically, this is a used lens that I had for storm chasing in the Pilbara. It has a few little nicks in the glass but they haven’t affected image quality (happy to accept returns). There are some body blemishes and of course some dust particles inside. These are the reasons why i’m listing it cheap. Contact me for any extra info. Trending at AU $525.43eBay determines this price through a machine-learned model of the product's sale prices within the last 90 days. 1:3.5-5.6 IS STM Image Stabilizer Marco 0.25m/0.8ft. Canon Zoom EF-S 18-55mm Lens. -- Missing Lens Covers --. DON'T MISS OUT! Used Canon L lens. Such a waste sitting on the shelf. Ending 23 Apr at 22:26 AEST3d 6hBrand: CanonType: Wide AngleSeries: Canon "L"
I'm selling my Olympus M.Zuiko 17mm f/1.8 AF Lens in Silver as I don't have a use for it anymore and it's just sitting around collecting dust. The lens is in great condition with no scratches or blemishes. Used irregularly. The specs of this great little lens can be googled. It does take amazing photos. And fits Olympus micro 4/3 cameras. I used it on a Olympus epl2. Really great seamless switching between Auto and manual focus with the focus ring. Can post or local pickup also. Excellent used condition with no blemishes, scratches, marks or fungus. Its 6-blades aperture diaphragm lets users create good out-of-focus highlights. It weighs 17.5 oz. Model 10-20mm F4-5.6 EX DC Hsm Lens for Sigma. Series Nikon NIKKOR. Product Line Nikon Nikkor. Focal Length Type Zoom. Focal Length 18-140mm. Focal Length (mm) 18-140mm. Condition is Used. Lens is in good condition, has no dust, haze or fungus. Trending at AU $323.32eBay determines this price through a machine-learned model of the product's sale prices within the last 90 days. For sale is a Sony 16mm F2.8 Pancake Lens. AF Nikkor 35mm f/2 D Lens. Nikon F-Bayonet. FX, DX, FX in DX Crop Mode, 35mm film. Perfect lens for the photographer on the go. 52mm Front Lens Cap(LC-52). Rear lens cap (LF-4). Our warranty covers labour costs for repairing the faulty unit. 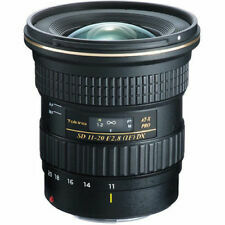 Tokina FX 16-28mm f/2.8 Pro AT-X Lens for Canon. Mint Condition, looks very new . Sent with Australia Post Pre-Paid Parcel Post Satchel 3kg. Only used twice. Original packing, manual and caps included. Post within Australia or pick up Springfield Lakes, PayPal or cash. 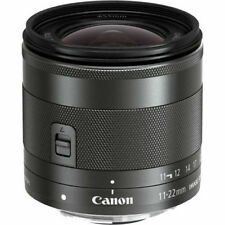 Canon EF-S 18-55mm f/3.5-5.6 Lens - Nice - Bargain. It's cheap. Excellent portrait lens. lens hood, without creating more bulk)If you do not like that just remove it. (Also includes a step down ring, which does two things. Lens Model No. 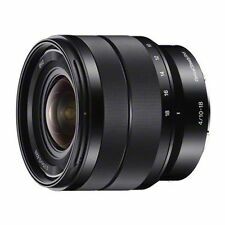 : EF-S 18-55mm f/3.5-5.6 Lens III. Condition: In good used working condition, no major dint's or scratches. Amazing wide angle lens, sharp, compact, quality build.Mint condition. 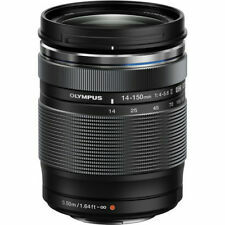 Olympus M.Zuiko 12-40mm f/2.8 ED PRO Lens. Condition is Used. Sent with Australia Post Pre-Paid Parcel Post Satchel 3kg. Brand: CanonType: Wide AngleSeries: Canon "L"
For sale is a Canon EF-S 18-55mm f/3.5-5.6 IS Lens in Black colour. AS NEW condition. This is a great quality item. It has been used only twice before I upgraded to professional Lens. So much better quality than the kit lens and a must if you're thinking video for the nice smooth power zoom. Trending at AU $141.76eBay determines this price through a machine-learned model of the product's sale prices within the last 90 days. Condition is used in excellent. SIGMA 18-300mm f/3.5-6.3 DC MACRO OS HSM CONTEMPORARY TO SUIT NIKON & HOYA 72mm PRO1D UV FILTER. Sigma 18-300mm f/3.5-6.3 DC MACRO OS HSM Contemporary. Features a front 72mm filter thread. Utilizing a Hyper Sonic Motor for autofocus ensures quick, quiet, and accurate focusing, all the way to the lens' minimum focus distance of just 39cm. Canon EF-S 10-22mm/3.5-4.5 USM " Canon Specialist Retailer "